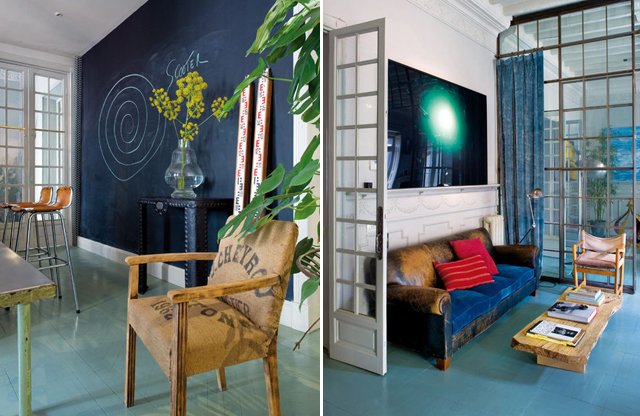 I found this Madrid apartment owned by stylist Jamie Lacasa through Elle Decor Spain. 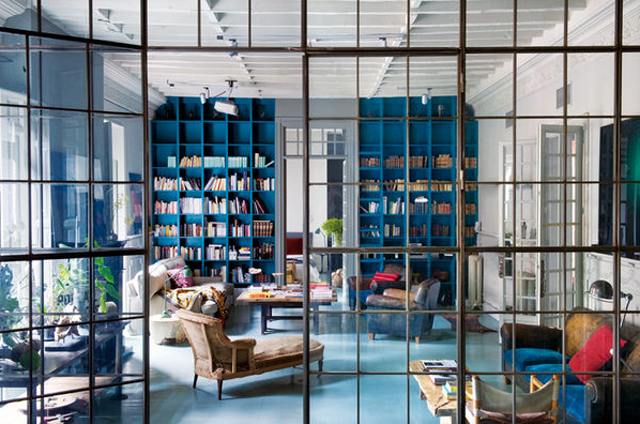 I fell in love with the blues and bright colors of the apartment and especially the iron framed windows that separate the bedroom and the living room, a very good decoration idea to divide rooms in a big space. 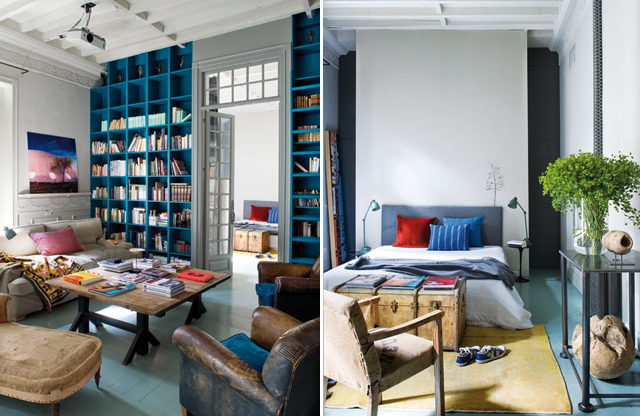 I never thought of painting a library blue would look so great, these pictures prove that blue furniture could go really well with anything if combined with correct colors. Interior pictures via Elle Decor Spain, Girl wearing fur jacket via R29, Girl with the blue skirt via Shopstyle.